(Top from left) Pourrahnama, Romero, Truesdale, Awatari, Akermach. (Bottom from left) Ganbat, Gjessing, Medell, Cavdar, Kong. This Article was provided by The International Paralympic Committee. 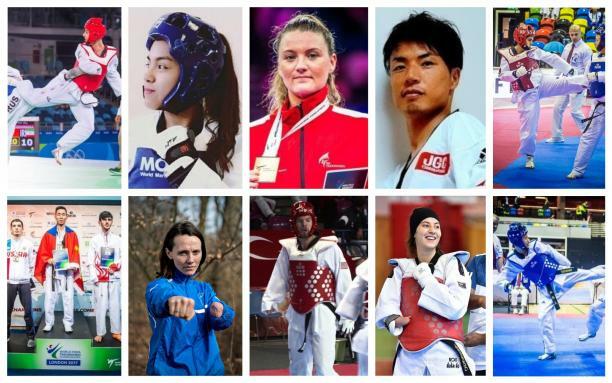 These are athletes who have the potential to make headlines, especially with the sport set to make its Paralympic debut at Tokyo 2020. Their biographies are now available on the IPC website. One of the pioneers of Para taekwondo who celebrated world gold on home soil in 2017, highlighting an unbeaten season in the women’s over 58 kg K44. From the time he began competing internationally in 2015 until the time he picked up his third straight world title in 2017, Ganbat never dropped a fight in the men’s up to 61 kg K44. Has captured virtually every title imaginable in the men’s up to 61 kg K43 division and will be a strong favourite for the sport’s Paralympic debut. Stormed onto the scene in 2016 by winning Pan American Championship gold and is a teenage talent not to be missed in the women’s up to 49kg K44. Only began competing in Para taekwondo four years ago but has since become one of the most dangerous fighters in the men’s over 75 kg K44 division. Hit the ground running, making the quarter finals at the 2017 Worlds – his first international tournament – in the men’s up to 61 kg K43, giving Japan plenty to look forward to in 2020. Four World Championships, four European Championships, and IWAS World Games titles. The only one left to target is a Paralympic gold in the women’s up to 58kg K44. Since picking up his first Worlds medal in 2009 at 13 years old, Pourrahnama has strung together one of the best resumes. Watch for him in the men’s up to 75 kg K44. Knocked off two of the top fighters in the women’s up to 49 kg K44 to claim bronze at her first World Championships in 2017. Made history in 2017 when she became the first African woman to earn a world No. 1 ranking in the sport, becoming a threat in the women’s over 58 kg K44.